One woman’s “moment of obligation” led to a global grassroots network fighting for children’s rights. In 1990, on a hot and dusty day in Bhubaneswar, India, Maya Ajmera stepped off a train and was struck by an unusual sight. Amid the chaos of the train platform, a group of children and a teacher were sitting in a circle, completely engrossed in simple learning exercises. When the lesson ended, Maya approached the woman and learned that the children lived, played, and begged on the train platforms. She learned that a local organization—in its desire to provide the children with a pathway out of poverty—offered the children free education, clothing, and food. But most importantly, this informal school instilled in the children a sense of self-worth and empowered them to determine their own futures. Train platform school in Bhubaneswar, India. It was a simple, powerful model of grassroots change. Seeing this inspired Maya to create Global Fund for Children in 1993, with support from Echoing Green, the premier fellowship for social entrepreneurs. Her approach was based on the belief that small amounts of money, when given to innovative, community-based organizations, could make a real, lasting impact on the lives of the world’s most vulnerable children and youth. In her book Invisible Children, Maya calls this her moment of obligation. 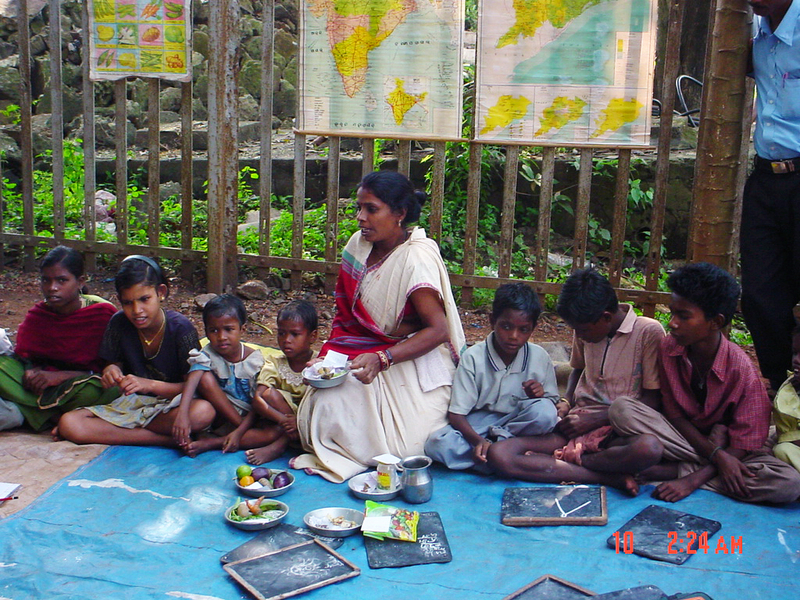 In 1997, the train platform schools—called Ruchika Social Service Organization—became the first GFC grassroots partner. 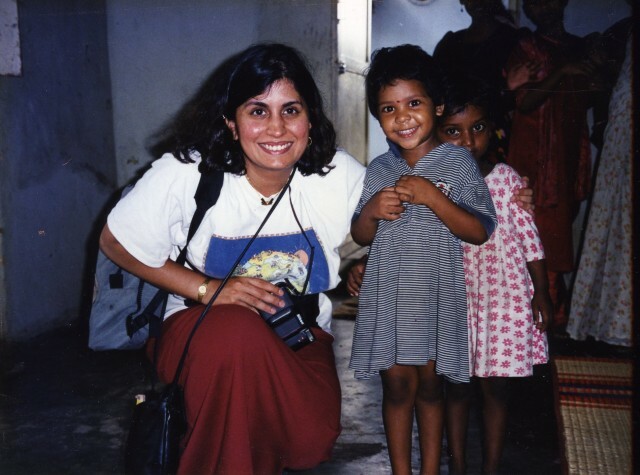 Maya Ajmera visiting children in India. At the core of Maya’s approach was a desire to foster global citizenship in children from a very young age using the power of children’s books and other media. Since 1996, Global Fund for Children Books has developed over 30 award-winning titles, with over 2 million copies sold worldwide. Proceeds from the first book, Children from Australia to Zimbabwe, supported the train platform school in India that inspired Maya to create GFC. Maya stepped down from her position as president of GFC in 2011 and remained on the board until 2013. Under Maya’s seventeen years of leadership (1993-2011), GFC grew from a seedling vision into one of the largest networks of grassroots organizations working on behalf of vulnerable children. Over the years, GFC expanded its grantmaking model, incorporating services that help GFC’s grassroots partners improve their sustainability, develop their networks, increase their visibility, and grow and deepen their capacity to positively affect children’s lives. To date, GFC has awarded $39.9 million in grants to over 600 organizations in more than 75 countries, touching the lives of more than 10 million children worldwide. In 2004, GFC began awarding Sustainability Awards to reward exceptional grassroots partners. This capstone grant offers a special infusion of funds at a critical stage in their development. These partners are organizationally sound, with strong management, a broad funding base, and expanded budgets and programs. To honor Maya’s legacy, this award was renamed the Maya Ajmera Sustainability Awards in 2011. A celebrated social entrepreneur and award winning children’s book author, Maya’s work and life story have been profiled by such media outlets as CNN, The Oprah Winfrey Show, Financial Times, NPR, and many others. To learn more about our founder, Maya Ajmera, check her wikipedia page or her personal website.